Hi, I’m Jennifer and I love to sew. If you’re reading this and are here because you don’t know anything about using one, please don’t be scared. I was in your exact shoes a few years ago. Then my husband (yep) taught me how to use ours, and I never looked back. Sewing has opened the door to so many new possibilities. Making anything I can dream of instead of having to look for it at stores. With sewing, YOU can be in charge of your wardrobe, home decor, and gifts. I’ve talked to SO MANY people about sewing. Quite a few of them had bought very inexpensive sewing machines (under $100), but never took them out of the box. The ones who did became frustrated when they encountered an issue with it like jamming, etc. To attempt to assist you, I have made a basic video lesson on using the EverSewn Sparrow 25. Disclaimer: I am not an expert or a sewing teacher, but I created this to hopefully help you in your journey to become a seamstress. I’m sure it’s not perfect, so please don’t destroy me in the comments. 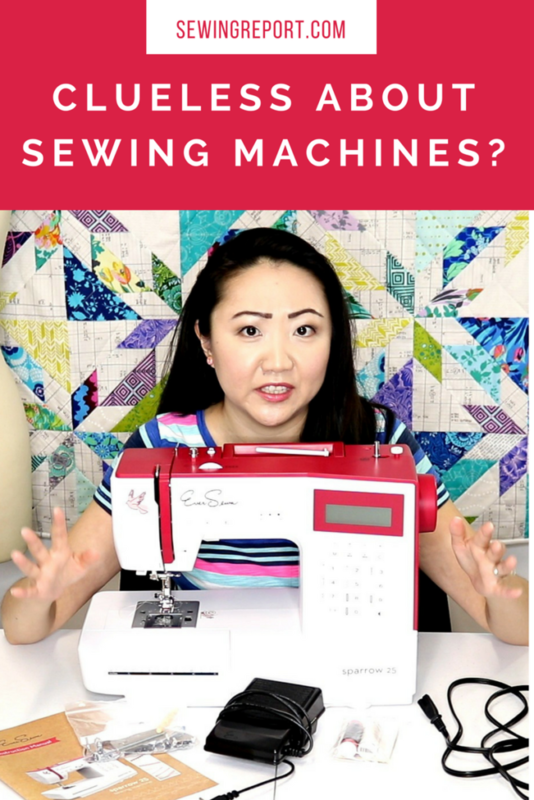 This video is not the end all, be all of sewing machine lessons. It’s from my perspective and is meant to at least get you to a place where you can start sewing instead of leaving your machine to collect dust somewhere. There were a couple parts where I misspoke. (My apologies, sometimes when filming it happens) The longest stitch length the machine has is 4.5 (a basting stitch), and the default stitch length is 2.5.